The best place in California Adventure to get a #glutenfree meal. The chef’s are amazing and always available to talk to you about your food allergies. Thanks for your comment, Sheila! I’m glad that #glutenfree options are available for those that need them! 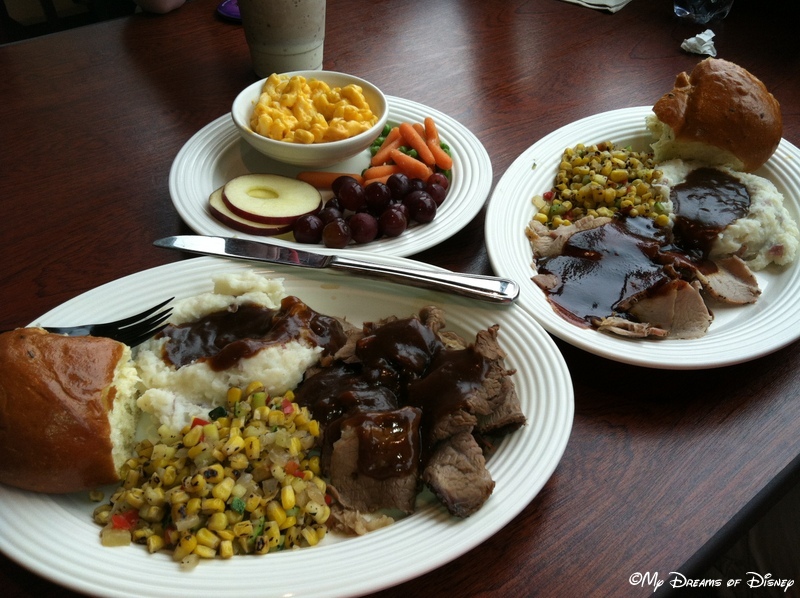 One of the best spots to get a quick service meal in either Disneyland or Walt Disney World. Had a great meal here in August. Great, Tim, thanks for commenting today! Have a great Disney Day! We haven’t eaten at this spot yet but it looks like a great place to share a meal…those are some big plates! They are, but I ate every bite, Julie! I think the portion size is great when compared to the price! Thanks for commenting today! Mike I loved FLo’s Cafe when we visited Disneyland. In fact when I saw you had chosen this I thought, wow this is almost as good and better than The Jolly Holiday Cafe. We ate there several times and I agree the atmosphere is really great and the food I ate was always good. Thanks for the review! Thanks for stopping by Elaine, I really enjoyed writing about Flo’s and also enjoyed eating there! Thanks again for your comment! 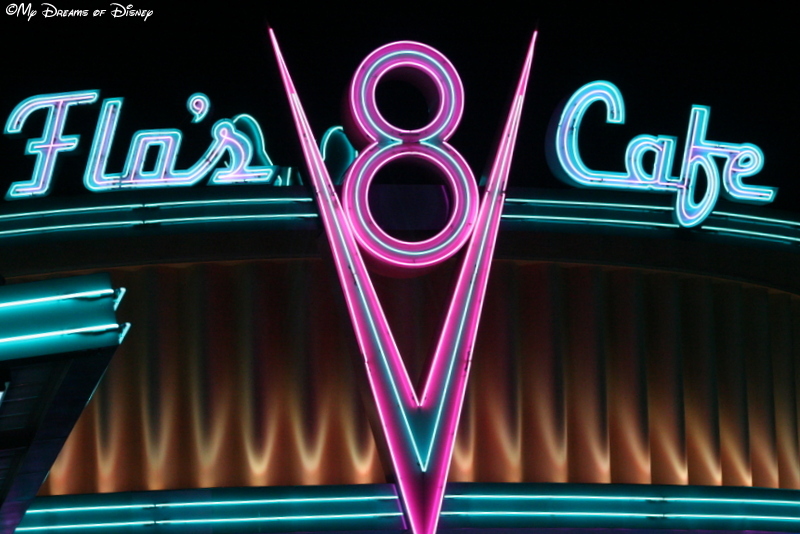 We love everything in Cars Land- and Flo’s V8 is one of our favorite pit stops. Though we have sampled many of the lunch and diner offerings, Flo’s breakfast menu is what really starts our engines! We always order the kid’s waffles; eating the likeness of Lightning McQueen and Tow Mater is only second to a Mickey waffle. And NOTHING in Disney’s California Adventure beats the magic of sipping a Flo’s Classic Shake while leaning on that V8 sign awaiting the nightly Route 66 neon light show. Nada!! I loved going here first thing in the morning. Grabbed myself a french toast and a seat right up against Radiator Springs Racers. It was a perfect start to the day. Previous Post: Join in my Dream Disney Scents Launch Party!